During the month of May, Swansea Medical School was host to three students; Pa Amadou Sohna, Fatoumatta Jaiteh and Ismaila Manneh from the Gambia. 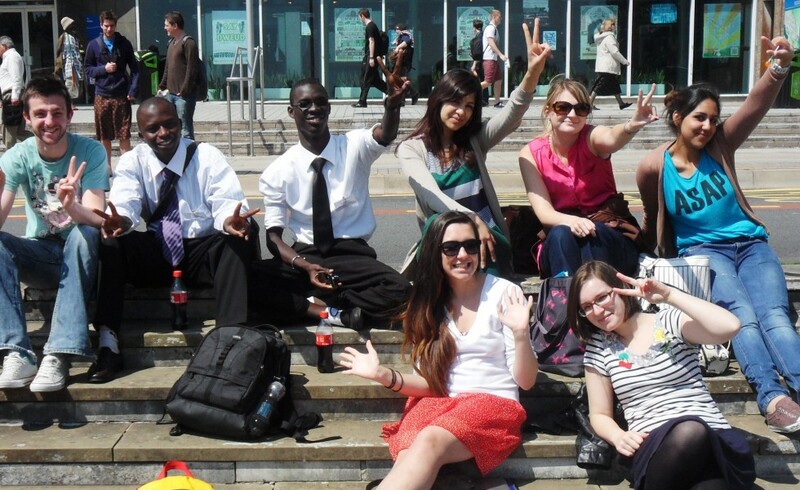 The students came for two weeks and during that time took part in a wide range of activities. Among the highlights were attending surgical and medical placements in a number of local hospitals and surgeries as well as participating in clinical skills practice. Whilst on the social side of things their experiences ranged from sightseeing and shopping in Swansea and Cardiff, learning new dance skills with our resident expert, stilt walking along the beach which proved surprisingly popular and attending a 3D film showing at Vue. 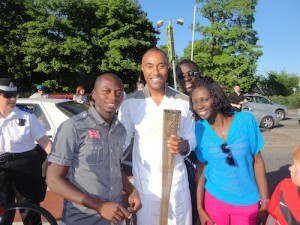 This was not to mention the students’ opportunity to meet the former world record holder at 110m hurdles Colin Jackson during his time as an Olympic torch bearer. The students were warmly welcomed by Swansea medical students and numerous social events were organised and luckily during the two week period the weather was its ‘usual’ sunny and warm self so the students were able to experience a typical summer in the UK whilst enjoying the beach. Overall, the experience was a positive one and all those involved really enjoyed getting to know Fatoumatta, Pa and Isamila. We would like to take this opportunity to thank everyone involved particularly in the Auction of Promises, whether they bought a promise or donated a promise without which this would not continue to be a success.